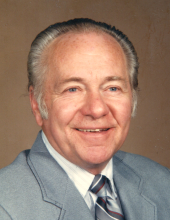 William “Bill” F. Wuerz, 91, of Sterling passed away Saturday, February 9, 2019 in Sterling with daughter Kaprice holding his hand. Visitation will be from 2 pm to 6 pm Thursday, Feb. 14 at Tennant Funeral Home. A Celebration of Life service will be at 10:30 am Friday, Feb. 15 at the Sterling Foursquare Church with Pastor Ben Hackbarth officiating. A June inurnment is expected at Riverside Cemetery. Bill was born on March 9, 1927 in Brooklyn, New York to William Frederick Wuerz Sr., a newspaper printer and Ida M. (Rappuhn) Wuerz, a stay at home Mother. He went to primary school and Midwood High School in Brooklyn, graduating in 1945. He was drafted during WWII, August 1, 1945, and began US Army Basic Training at Spartenburg, SC. He served in the 3d Inf. Division and was discharged in 1947 as a Private First Class (PFC). Using the “GI Bill” benefits, he graduated from Champlain College, Plattsburg, NY. He received his BS in Business Administration in 1950 from University of Denver. He reentered the US Army during the Korean War in 1951 and was discharged as 1st Lieutenant (1LT) in 1954 after serving in the 2d Inf. Div. in Japan and Korea. After his service, he worked for Newberry Department stores for three years. He then worked as the Northeastern (9 counties) Colorado District Manager Blue Cross and Blue Shield in Sterling, CO until retirement after 25 years. He then went independent selling BC/BS and retired for a second time at age 75. He married Arlyce M. House in Chicago, IL and they were married for 21 years. He was 1LT and she was a Women’s Army Corps PFC. They had 3 children: Randy, Bonnie, and Brenda. He later married Carole A (Fionda) Karch in 1977 in Sterling and were married until his passing. She previously had two minor children: Klint and Kaprice. Bill was a member of the Foursquare Church (Council, Deacon and led children’s church for some 20+ years), lifetime member of the Elks Lodge, Sterling Boat Club (past president), American Legion, Boy Scouting (14 years Cub and Scout masters), Full Gospel Business Men’s Fellowship (past president, Lifetime Member). He also enjoyed skiing (up to age 83), roller skating, soaring, sailing, fishing, fencing, walleyball, rafting, travel, Foursquare Church activities, and visiting/watching his five children attain their life goals. Bill is survived by his wife Carole A. Wuerz of Sterling, CO; daughters Bonnie Munro of Lolo, MT, Brenda S. Behrens of Mantica, CA, and Kaprice Page of Littleton, CO; sons Randy Fredrick Wuerz of Las Cruces, NM, Klinton Karch of Yakima, WA; brother Donald E. Wuerz of Aurora, CO; 14 grandchildren; 15 great-great-grandchildren. He was preceded in death by his mother, Ida M. Wuerz and father, William F. Wuerz, Sr., and his first wife Arlyce M. (House) Wuerz. In lieu of flowers, memorials may be made in Bill’s name to the Sterling Foursquare Church in care of Tennant Funeral Home, PO Box 1547, Sterling, CO 80751. To send flowers or a remembrance gift to the family of William "Bill" F. Wuerz, please visit our Tribute Store. "Email Address" would like to share the life celebration of William "Bill" F. Wuerz. Click on the "link" to go to share a favorite memory or leave a condolence message for the family.